Creating the perfect wedding look is about more than just the hair and the dress. The little finishing touches like nails are just as important. That is why we have put together a list of the 31 best wedding pedicure ideas. Any one of these ideas will make you look and feel great on your big day. There is a design for any bride from glam sparkles to floral art. Nothing says special occasion like glitter! So, give your toenails some sparkle with a glitter polish. You could have any color but a silver one like this or gold would be perfect. These colors are glamorous and will go with any dress and shoe. Glitter polishes are an easy way to create a stylish look yourself at home. If you’re planning a beach or summer wedding a pedicure like this would be perfect. 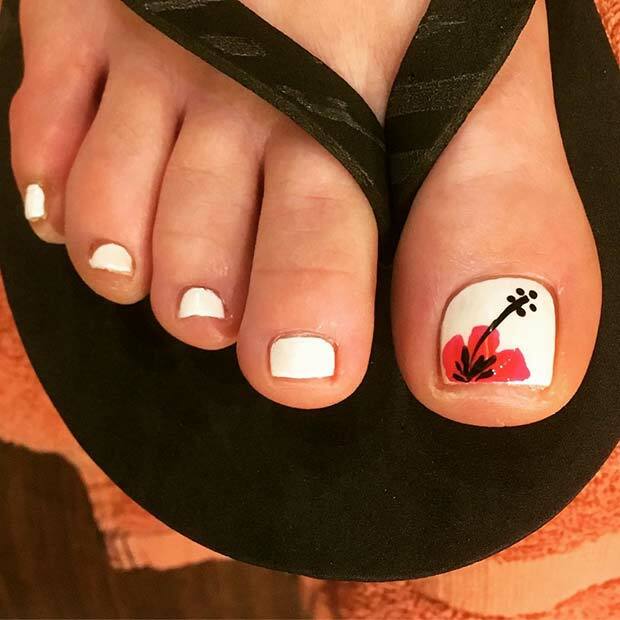 This design features a traditional white polish with a floral accent nail. The flower has a tropical look to it. Nail art like this could be done in any color and will look gorgeous with shoes or barefoot. Looking for nail art that is unique and creative? Then we have found just the thing! 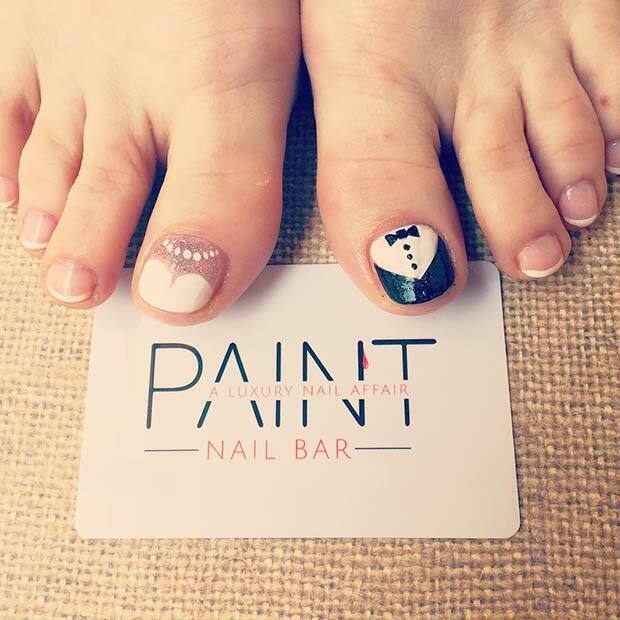 This French pedicure features an accent nail with the words “I do”. A design like this is perfect for a bride! It is a fun pedicure idea that everyone will love. The little gem finishes of the pedi beautifully.